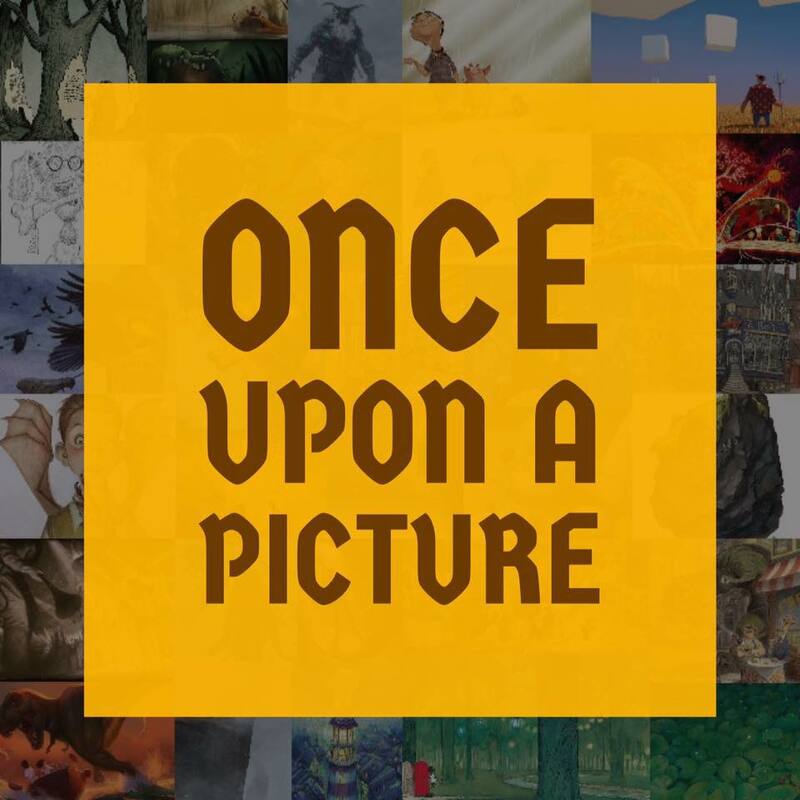 Show the image without the title first. 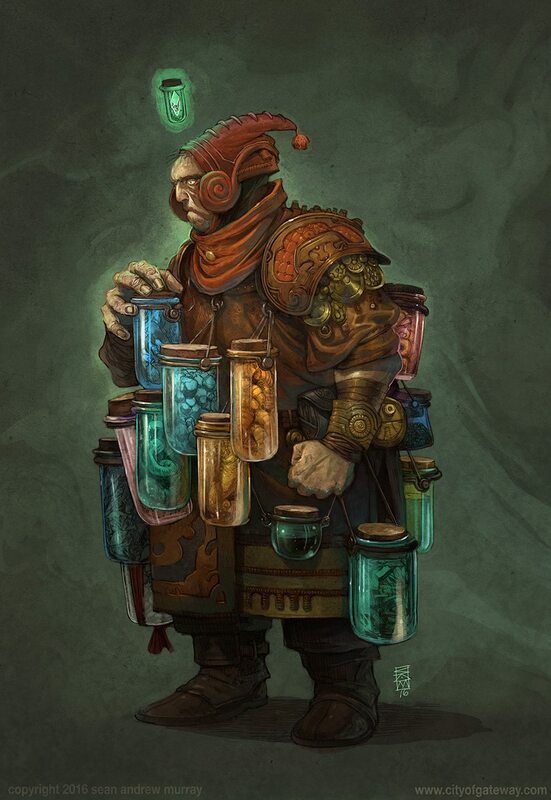 Why is he carrying all of those jars? What’s inside them? Why are they attached to his clothing? Couldn’t he just carry them in a bag? Why is he wearing this clothing? Is he going to open the blue jar? Why? Why is his other fist clenched? What does his body language tell you about his thoughts and feelings? Did you think that this man was a wizard? Why/why not? Is he what you imagine a wizard should look like? Compare him with other wizards from literature. Since he is a wizard, does that mean the contents of the jars are magical? Does he need a magic wand? Help! The Jar Wizard’s jars are all missing their labels! Please write labels naming the contents, detailing what it is and what it can be used for. Be sure to include any necessary safety warnings too! Have you learnt anything else about The Jar Wizard? What happens if he uses the blood of one of the Original Fish? What does ‘I pray I never have cause to use it…’ mean? What does it tell you about the substance? Every dream, big and small, all went into the jars of wonder. Any mortal that saw him, the next day he and that memory was gone. He was always a secretive creature, ever since that bully at giant school. He’d learnt to hide those feelings of displeasure, sadness and busied himself with dream collecting instead. There were bad dreams, happy dreams, sad dreams and scary dreams. Children all over the world were dreaming big dreams. That was where they went. That is amazing work !!!!!!!!!!!!!!!!!!!! !